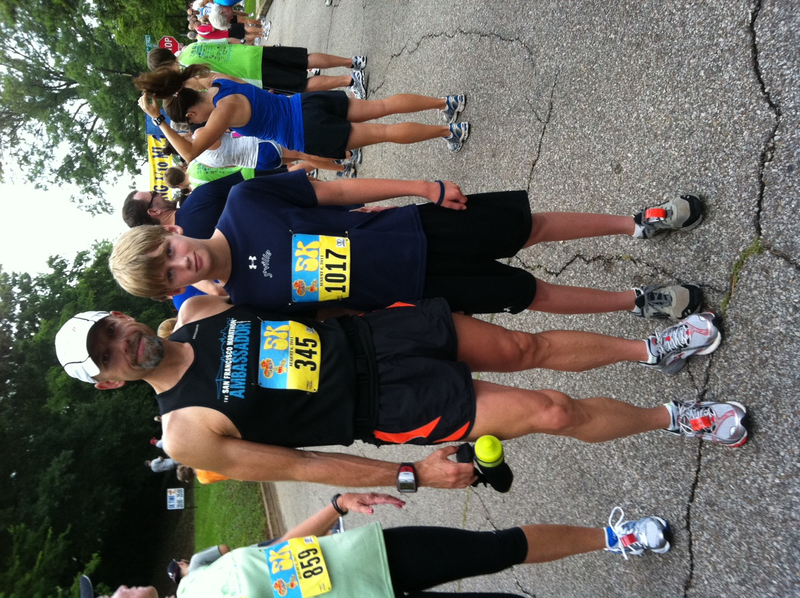 Last June I ran the Honda 5k with my son Preston. It was his first 5k. He had done some kid runs, including a Family Fun Run in Myrtle Beach the previous February, but never a 5k. Running with him was the proudest moment of my running life. So when he told me he wanted to do another, I jumped at the chance and registered him for the Woodstock 5k, which is our signature local race with some 1,300 runners annually. Today, on little training, Preston ran his second race in a pretty rough environment. Hot temps, high humidity and a hilly course for a 12 year old made his race tough. We ran at his pace and if he needed to walk, then we walked. Running across the finish line with him was as special as the first time. This is a kid who borrows my Garmin on a whim for a 1 mile jaunt in the neighborhood, with no prodding from me! He is motivated to be a good runner and a super fit soccer player. And I am proud to be his dad! Next Can you tell I am proud of him? Keep up the great parenting, your pride shines through as you speak of them…. Gordon: What a great post. What a proud moment and something you both will cherish for the rest of your lives. Thank you for sharing this post with your readers – it is very special! How awesome. Cherish the moments. I’m proud for you G !!!! !